Despite our best intentions, love and concern, sometimes we find that our child or teenager is struggling. These struggles can be at school, with friends or within themselves. In addition to this, sometimes our relationship with our child is not what we wanted either. Play Therapy is a way of helping children work through issues they may be experiencing. 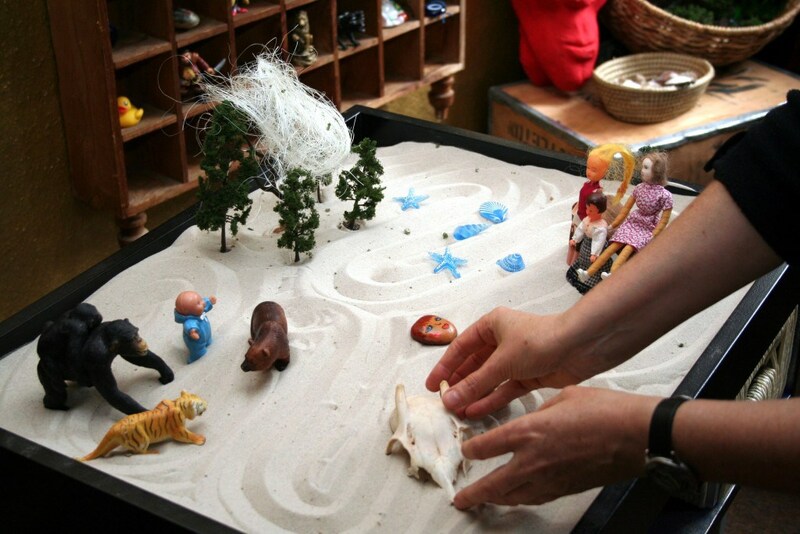 I use a variety of techniques such as non-directive and directive play, talk, and sand therapy. As such, this helps children who are experiencing difficulties with their emotions or behaviour. I usually integrate several therapeutic methods to find which one works for each individual child. Play Therapy refers to a variety of techniques and methods used to help children and adolescents who are experiencing difficulties. This may involve an individual child, a family, or multiple families or a group of children. In children and adolescents, playing, drawing, building, using sand and pretending. Simply talking is also an important way of sharing feelings and resolving problems. Play Therapy and Galway child counselling help children understand confused feelings and upsetting events. Rather than having to explain what is troubling them, as adult therapy usually expects, children use play to communicate at their own level and at their own pace. Play Therapy helps children work through emotional, social and behavioural difficulties and helps address family problems. It uses the medium of play, rather than talk, to help the child learn to express themselves, explore and make sense of the world in which they live and resolve any difficult or painful experiences. This may involve an individual child, a family, or multiple families or a group of children. In children and adolescents, playing, drawing, building, using sand and pretending, as well as talking, are important ways of sharing feelings and resolving problems. As well as relieving symptoms the goal of play therapy can be to build self- esteem and self-awareness, improve ways of expressing emotions, help improve communication, and to help improve relationships. Furthermore, Galway child counselling helps children develop skills to cope with problems that sometimes occur in childhood and adolescence. As a result, it helps them cope with any difficulties, to identify and talk about their feelings and to explore ways of dealing with them. I also work collaboratively with children and their parents offering support to help them through the challenges of childhood and adolescence. Anger or losing your temper, low self- esteem, sadness, having difficulties in school , school phobias, worry, eating disorders, fear/panic, acting out, withdrawal and wanting to be on your own, trauma, feeling different, worry and/or bereavement. Sometimes parents are not sure what to tell their child. However it is very important that your child knows that they are coming to a child psychotherapist, and it is important that they know why. Children/adolescents should be told in advance and not on the day of the appointment. Always be honest. You may say “I know you have been upset lately so I/we have made an appointment with a person who understands and helps children who are upset”. You and your child can view our website beforehand and in particularly the Children/Adolescent section. I will invite the parent(s) to meet me on their own first. The preference is to meet both parents together; I offer separate parent appointments in the case of separated families. I ask parents to fill out a referral form and a parental consent form. Further appointments will be made and sessions are once a week on the same day, time and place. The duration of appointments will depend on the individual child’s presenting problem and its severity. I recommend that closure of therapy is planned in partnership between the therapist, parent(s) and child.